In this Presentation you will see how Bart Simpson feels about the soul. Then, we move along to proof of our soul from medical studies of Near Death Experiences. In many of these studies, blind people can see and some see for the first time ever – after they were clinically dead. 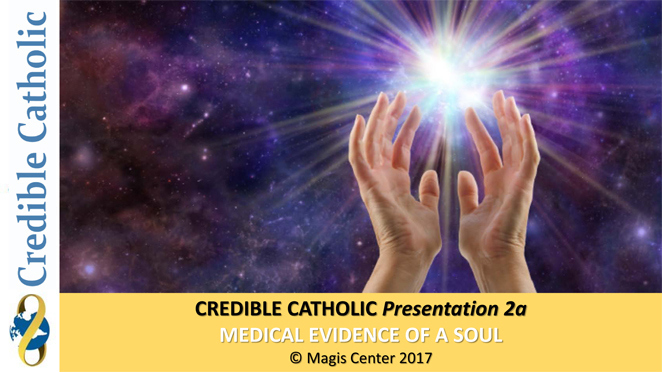 We see the similarities to people having NDEs and the Resurrected Jesus. Terminal lucidity is next as we examine more medical impossibilities. Brain Impaired individuals who have not been able to speak for years, some since birth, suddenly converse with those in the room with them shortly before they die – often within 30 seconds of death. Is this our soul? What other explanation can there be?